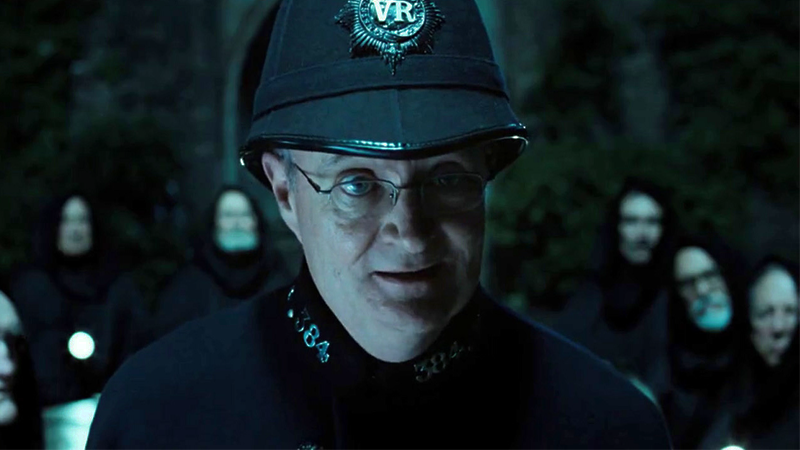 Broadbent as he appears in Hot Fuzz. British acting icon Jim Broadbent is joining the cast of Game of Thrones in season seven. Which means, inevitably, that Game of Thrones probably has plans to do something grim and gruesome to poor Jim Broadbent, because that’s what it does best. In its bid to prominently feature every actor in the United Kingdom before it comes to an end, HBO has announced (through Entertainment Weekly) Broadbent as the first major piece of casting for the show’s shortened, penultimate season. There are no solid details about the role he’ll be playing yet, other than the fact that it is “significant”—which honestly just ups the chances of Broadbent suffering a horrible fate, really. So how will Broadbent meet his maker? Decapitation? Disembowelment? Hanging? Mid-coitus heart attack? Eaten by one of Dany’s dragons? You’ve got plenty of time to speculate in the comments below before Game of Thrones returns next year.